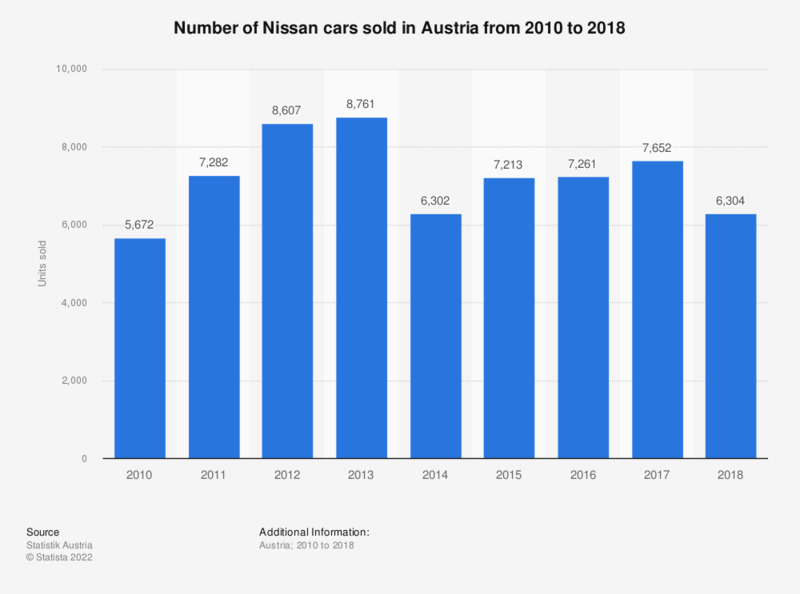 This statistic shows the number of cars sold by Nissan in Austria between 2010 and 2017. Austrian sales of Nissan cars increased from 5.7 thousand units sold in 2010 to 8.8 thousand units sold in 2013, before decreasing in 2014. It started increasing again in 2015, reaching 7.65 thousand units sold in 2017. Data for previous years provided by the source. Statistics on "Nissan in the United Kingdom"